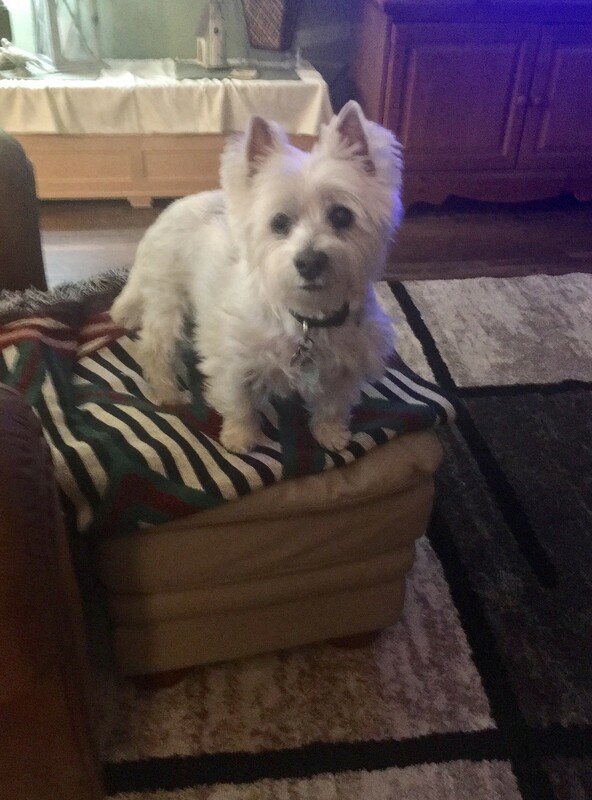 This beautiful soon to be 12 year old female Westie named Molly is looking for her furever home. 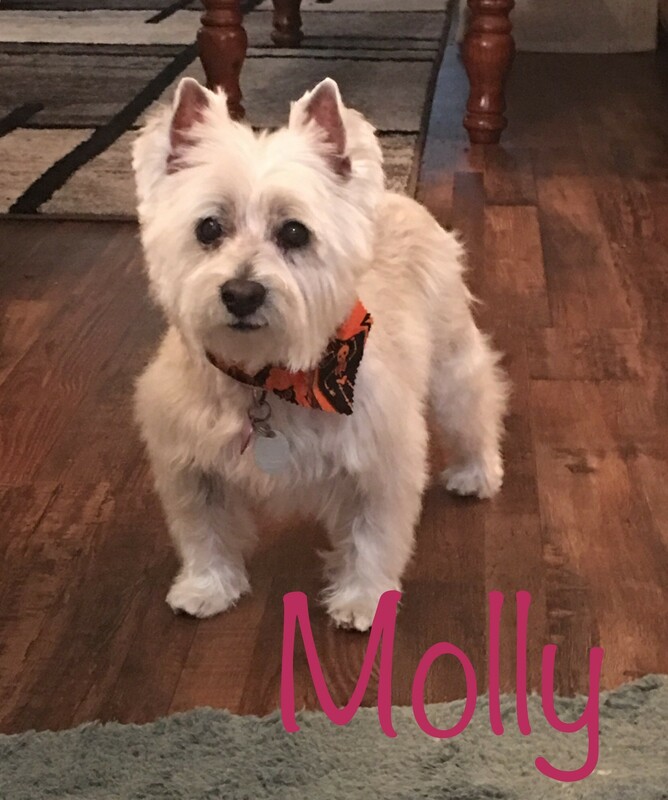 Molly’s first Mom became ill and had to live in a nursing home. Unfortunately, she passed away and She was the only family Molly had ever known. Molly ended up living on her back porch and being checked on, fed and walked by neighbors. A kind woman heard about Molly’s situation and took her in. Molly has been in her home for four months now. Molly’s new Mom also has a small Doxie and Molly thinks she is small prey so her hunting instincts kick in and she stalks the small dog. Molly’s new Mom has made the heartbreaking decision to surrender her to LSWR so we can find her a home that fits her needs better. Molly is up to date on all of her vaccinations and is spayed. She has dry eye in her right eye which will require eye drops for the rest of her life. She walks well on a leash and knows how to use a doggie door, too. Molly has never been around children or cats. She must be the only pet in the household.